With Valentine’s Day just around the corner, the hunt for that perfect outfit for your big date is on! We’ve picked out three of our favourite dresses from the new collection, to ensure you’re covered whatever your plans may be. As all the pieces featured in this post are part of the Spring/Summer Collection, they’ll be a great addition to your wardrobe and will keep you looking stylish throughout the upcoming season. This first look can be worn day or night, so is perfect for a range of occasions. 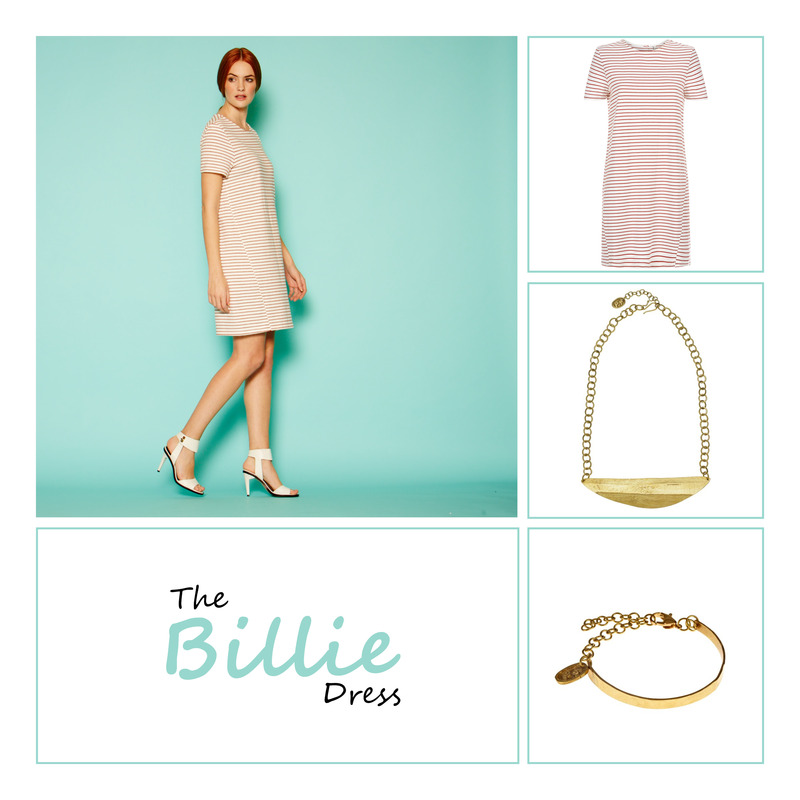 Our Philippa Dress is simple and stylish; with an A-line fit, it’s a sophisticated nod to sixties glam. Pair this dress with simple accessories, such as our Diamante Bee Earrings and Bethany Bangle to maintain a chic aesthetic. Why not add classic red lipstick, and line your eyes with a cat-eye flick, to create a perfectly understated, retro look? This second outfit is comfy and casual, great for a daytime meeting, or a chilled-out evening. Our Billie Stripe Tunic Dress has a relaxed fit and is made from 100% Fairtrade and Organic Cotton. Currently in stock in red stripe, but soon to be available in navy, so keep your eyes peeled! We think this basic shift dress looks great with heavier jewellery, such as our Tribal Necklace and our Chain Detail Bangle, which is in-keeping with this no-fuss ensemble. Seeing as it is set to be chilly over the next few weeks, layer this dress over thick tights or leggings, to make sure you stay warm and cosy. 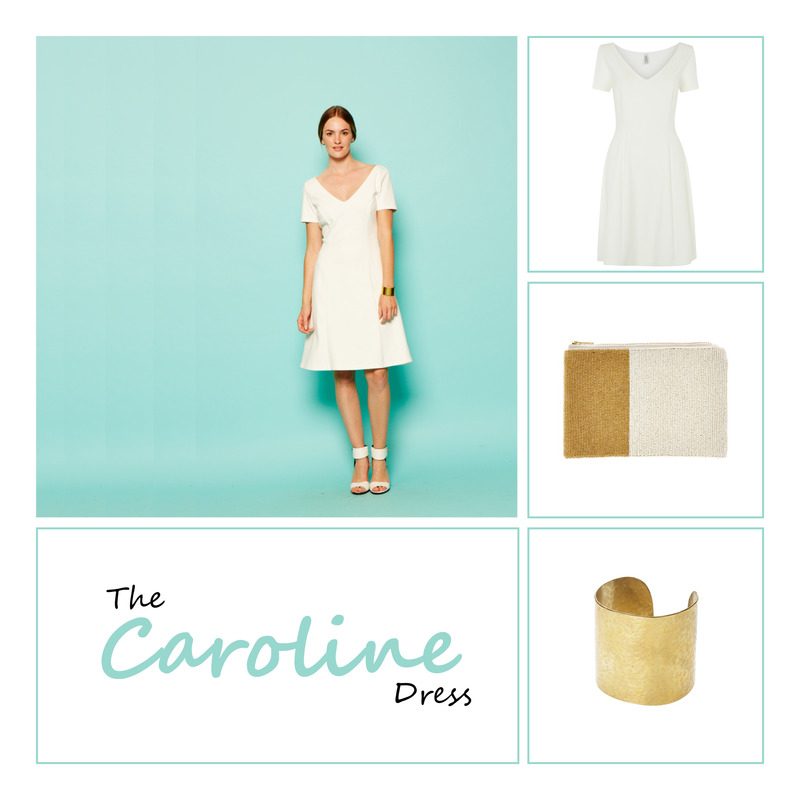 This third get up is flattering and feminine, with our fit and flare Caroline Dress taking centre stage. This beautiful white dress is made by skilled artisans who are part of Assisi Garments, a social enterprise in India. White and gold always look great together, so why not add our chunky Brass Cuff, to make a statement, and our Colour Block Pouch, to carry all your essentials. This elegant clutch bag is hand-made using wool felt, and decorated with gorgeous glass beading – such a stunning accessory! These dazzling date outfits may not have been to your taste, but they’re sure to have inspired you on your quest for the perfect look. With so much more choice over on the People Tree website, what are you waiting for? Head over there now to find something beautiful! And as there’s just 10 days left until Valentine’s Day, we’ve got an offer for you. With the purchase of any sale dress, you’ll get yourself a free key ring, and when you buy any Spring/Summer 2015 dress, which includes all three featured in this post, you’ll receive a free t-shirt, from our collaboration with the amazing artist, Simeon Farrar. The offer ends on Monday 16th February 2015 and is only available while stocks last, so don’t miss out!